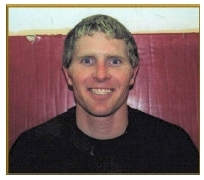 Yes you can finally Learn Mixed Martial Arts from a living legend in Martial Arts. 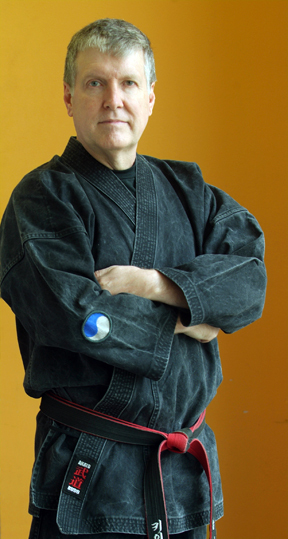 For the first time ever in his well over 45 years of training and teaching, Martial Arts Legend Grandmaster Ted Gambordella will train you in the Martial Arts no matter your location. Through an advanced program of videos, and Martial Arts Manuals you can now learn from a true legend in the Martial Arts. Learn all the Basics of Mixed Martial Arts in the comfort of your Home. Dr. Ted has designed a complete home study system unlike any other offered at any price. Just take a look at all that is included in this massive offering..
Special Bonus: The 20 Deadliest No Gi Finishes. These are the Most Deadly No Gi Finishes in Mixed Martial Arts. 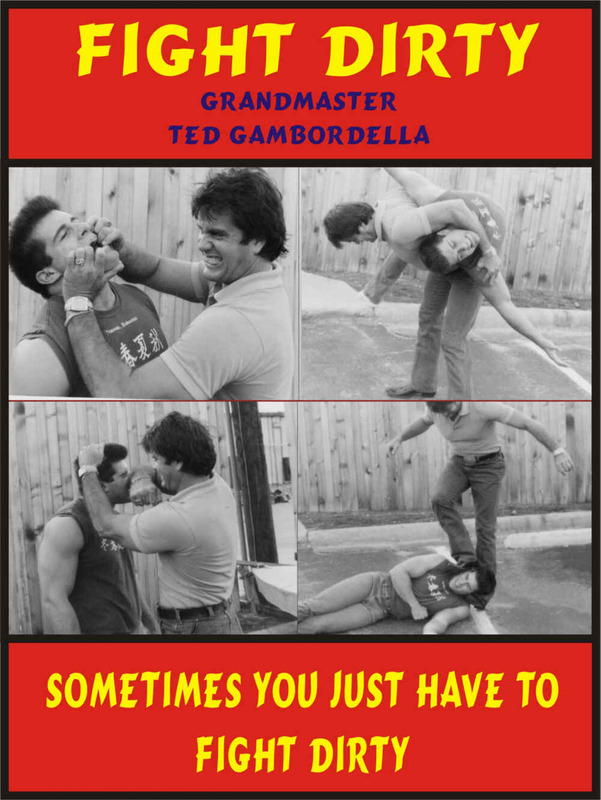 You will learn finishes from Grandmaster Ted that WORK every time and you that you can do. No fancy stuff that won't work in a real fight. Proven tested No Gi finishes that work in the ring and in the street. Learn the Mount, Side Control, The Guard, Taking the Back and Stand Up Jiu Jitsu Techniques as only the Grandmaster can teach them. This is it! The future of Choke training has just changed forever! Finally released to the public as a part of this certification package. Until now if you wanted this video you had to order it through your Martial Arts Instructor or school. Now it is finally available for purchase here on eBay via this one of a kind certification program. You can't beat your opponent on the ground if you don't take them down, and Wrestling has the most effective takedowns in the World. I published my first Martial Arts book in the late 70's, a time which is commonly referred to as "the golden age of martial arts". 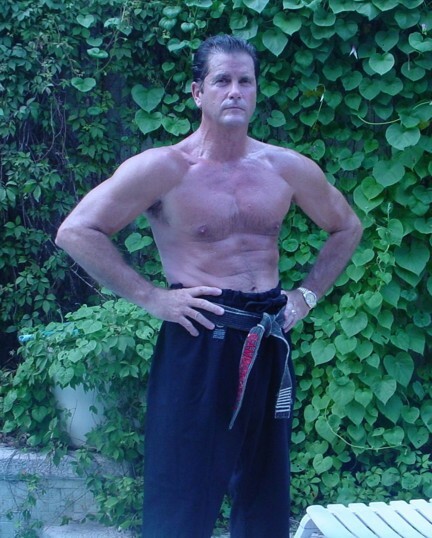 In the next 5 years I wrote and had published 14 different titles, and became one of the best selling martial arts authors of All Time. My books have sold over 100,000 copies and grossed over $1 Million Dollars. But I wanted even more. 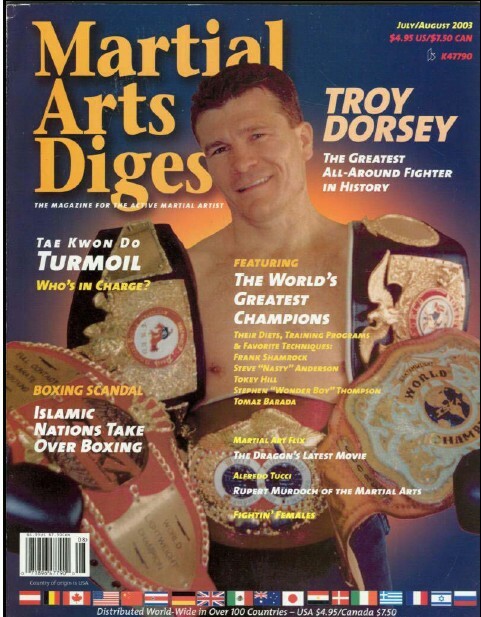 Over the years I produced 2 very impressive videos for use in my weapons seminars and seminars on "secrets of the martial arts". These video's sold for $75 each and have have sold hundreds of copies. I decided to Add these videos to the CD Rom. A Complete Bruce Lee Movie. Break boards with a one-inch punch! This book is a practical text for the serious martial arts student or teacher. We do not suggest that any of the techniques found in this book be used in the street against another man, unless, of course your life is in immediate danger…. Then the PUNK deserves every deadly move I'm going to share with you so you can protect yourself or your family! You'll learn how to fight to the death utilizing the 100 most lethal kicks, shutos and blows known to the world's greatest karate masters. 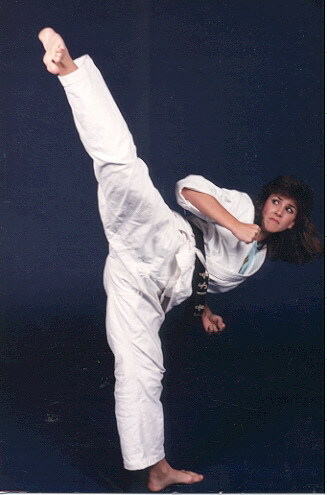 More than 100 dramatic photos cover snap kicks, heel kicks, vital points of the head and chest, shutos, palm heels, ridge hands and street fighting with karate. Examples of street applications of some of the techniques. Training section in order to get the student or teacher to begin to think of how the strikes and blows might be applied in a life-or-death situation. Each year literally thousands of young women are attacked in the streets of our country. Some are mugged, some beaten, some raped, and some killed. Almost all of these women have one thing in common, they do not know how to defend themselves. Perhaps with some small self-defense training some of these women would not be helplessly attacked and thus would not be raped or killed. 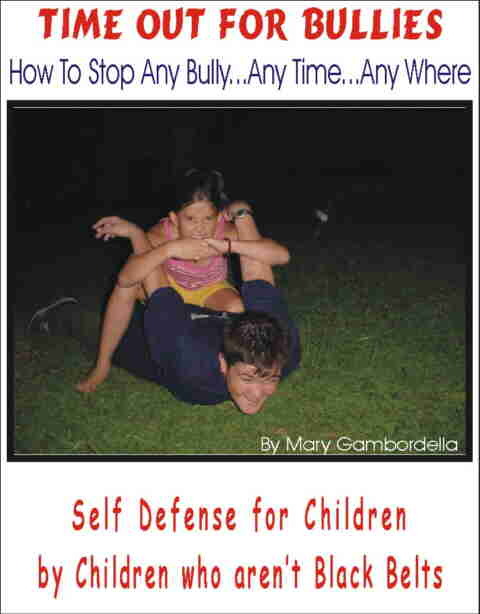 Certainly all of them would stand a better chance if they knew some effective, yet simple, techniques to defend against an attack and this book is not just for women in today's world… anyone can be a victim! 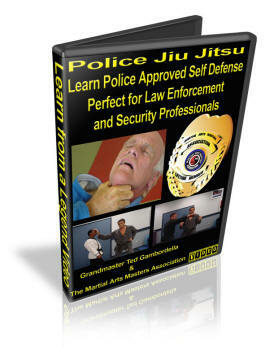 This book is a comprehensive training manual for people and students who may find that they have to defend themselves in the street from attack by those who may have such weapons as knives, bats, clubs, broken bottles, chains, or all of the above. No matter what they throw at you this manual will provide a defense and counter so you can escape injury and put the hurt on those who would do you harm! If you bought each of these best selling editions in the store (assuming you could ever track them down which you couldn't because some are out of print) you'd would pay between $19.95 and $24.95 for each book a total of almost $300…But you can own every volume crammed full of the most impressive collection of martial arts knowledge ever assembled with over 2,000 detailed photographs of martial arts techniques that work! All for just $29.95 the cost of a single book! Get instant access now to your first 12 volumes of The Martial Art Masters Library! This is IT. All you need to know to get the ABS you want and keep them forever. 48 Different exercises for men and women you can do to get that "6 pack" look. There is nothing worse than a beer gut or fat belly if you are a serious martial artist. 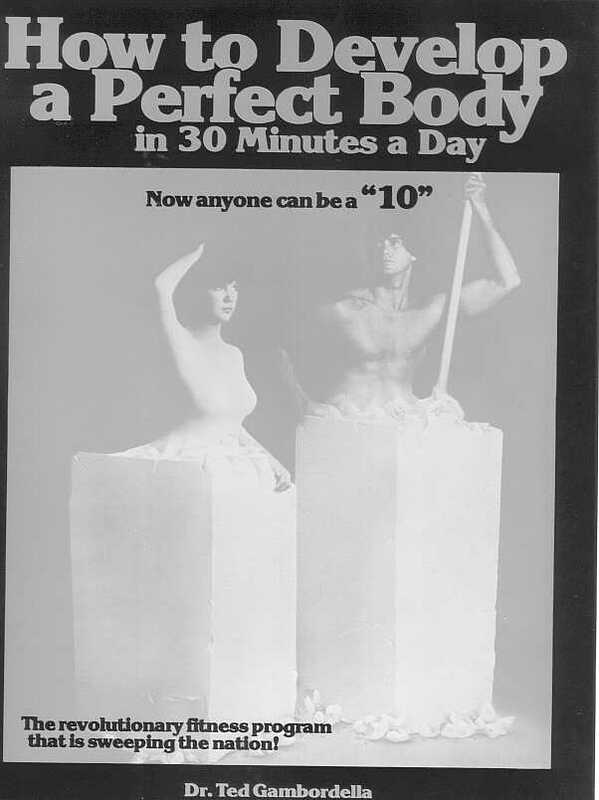 This book will show you all you need to know to develop the "perfect waistline". Everything you need to know to Master the Nunchaku. Step by step video instructions. So many people want to know how to use the nunchaku correctly but they can't find a teacher who know or who is willing to teach them. If you train yourself, you risk the possibility of serious injury, even death. You can learn so much more from a "weapons master" who takes the time to show you how to do the nunchaku right the first time. 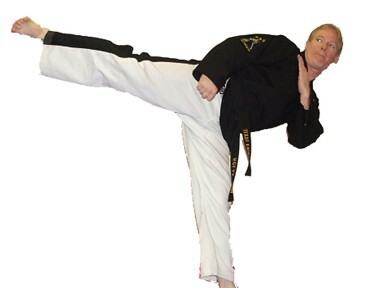 You will learn swings, blocks, stances, even defenses from the bo and from the nunchaku if you are disarmed. This is the only tape you need to watch to learn to master the nunchaku. You won't believe the amount of information packed into this video. Never before secrets revealed. Secrets that will amaze and astound everyone. You kid can't do the techniques these kids and do, because they AREN'T BLACK BELT. You simply can't afford not to have this book if you need to win fights in the street. 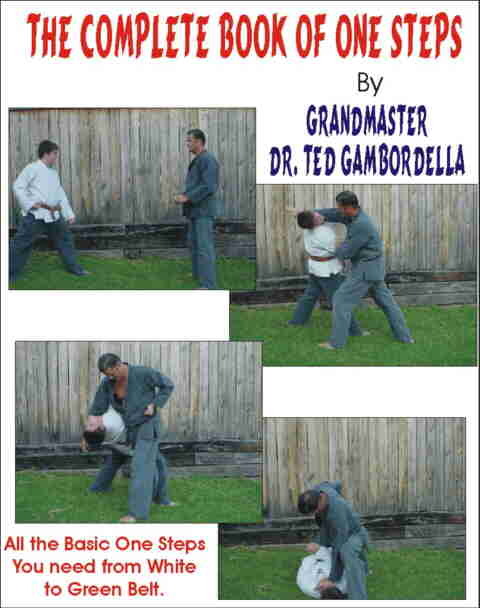 This is a Great book on the CANE, one of the most effective martial arts weapons you can carry. WHY? Because it is Legal, it works, it doesn't require a lot of strength, speed of expert co ordination. I have been studying Jiu-Jitsu for 36 years, and I love the CANE. There are dozens and dozens of REAL MOVES in this book. Moves you can use on the street to protect yourself and your family.no phony moves in this book, only stuff that ACTUALLY WORKS . 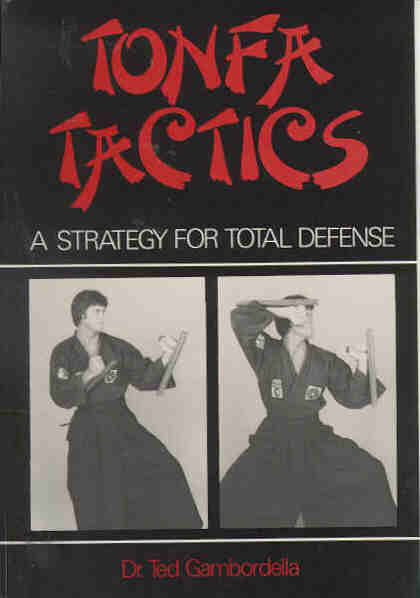 This is a little book I wrote several years ago, just for fun and to show some of the "dirtiest karate moves" I knew. You will see, "face tears", "ear bites", "groin destroyers", "back breakers" and much much more.. I also have a few pages with a guy that looks just like "Rambo" doing some "special moves" to a bodybuilder. 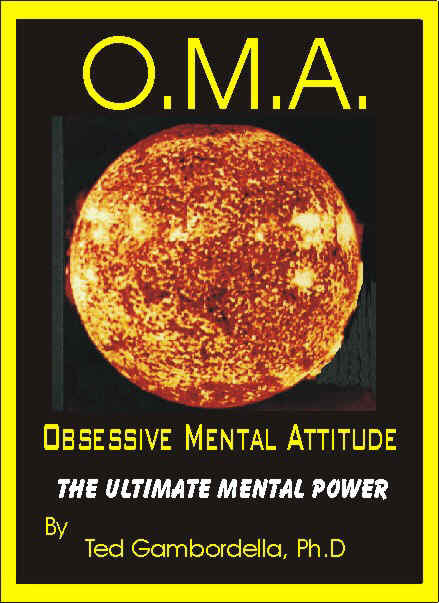 It is a fun book, you will enjoy reading and can actually learn a lot from. 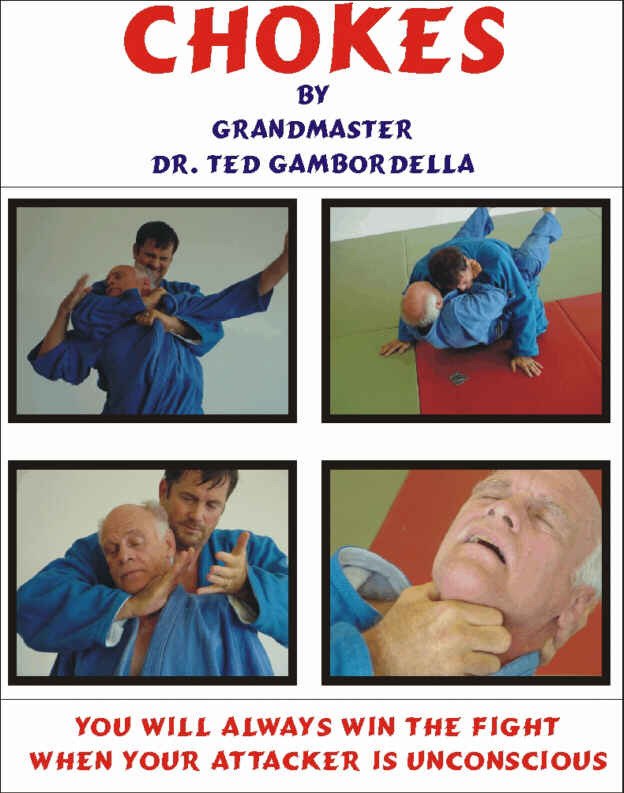 This is a great book for people who want to learn and master Chokes. Chokes are a very important part of the martial arts, and they Always Win Every Fight, because you opponent can't continue to fight when they are unconscious. I must point out that I am a CHRISTIAN, and wrote this book strickly for research into Oriental Philosophy, as I feel it is important to know the "mind" of the Orientals, as they are the source of all Martial Arts. You GET IT ALL on this One Incredible CD Rom. Over $300 of value. But you must Order NOW Supplies are limited. When the current stock is out. Dr. Gambordella has indicated that he will NO LONGER MAKE THIS OFFER. He has said he will sell the books independantly and the video independantly for as much as $300. .
Ok read what others are saying about the Grandmaster. 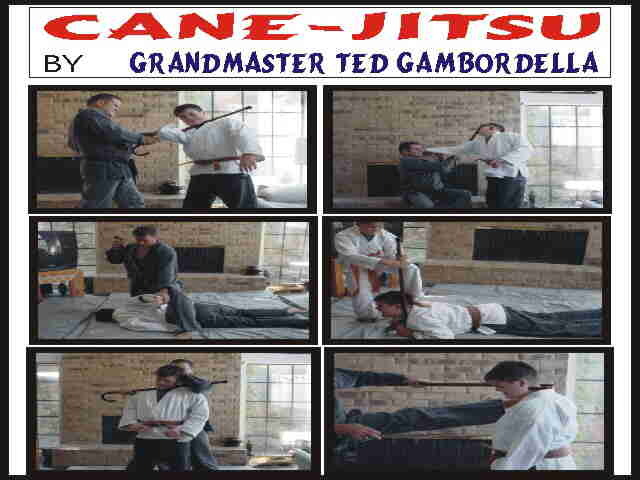 Ted Gambordella is an excellent instructor. He got me thinking about ju-jitsu and grappling techniques back in the 1980s, way before the grappling craze hit. He also lives what he preaches about fitness and health." 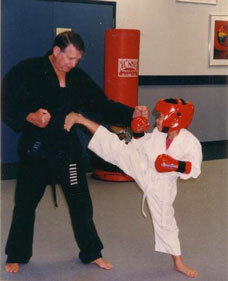 I have know Dr. Ted for almost 30 years and I can say he is one of the Finest Martial Arts Instructors I have ever meet. 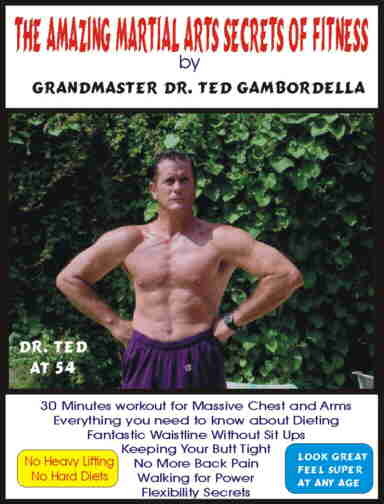 I feel very confident in saying that anyone who studies the E Books and DVD's of Dr. Ted will be very successful and very happy. Grandmaster Gambordella is one of the most knowledgeable, talented and impressive teachers I have ever had the pleasure to train with. Anyone who uses books and videos from Dr. Ted is Sure to be 100% satisfied. 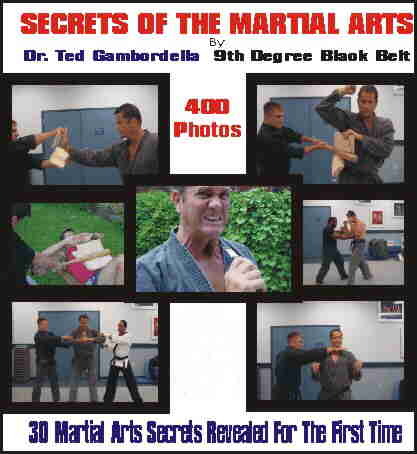 learn and do in the Martial Arts"
Grandmaster Gambordella has been one of my instructors and teachers for the last 40 years. I am use on a daily bases in all my classes, the techniques from Dr. Ted and will continue to use them, they always work, and never go out of style. I can say without any hesitation or limitations on it that this is the finest training available. P.S. Please remember I can not offer a guarantee that this training will be available ever again. You need to purchase this package now. P.S.S. This includes 9 DVD'svideos and 42 complete manuals on CD. No Part of this package may be reproduced in anyway. 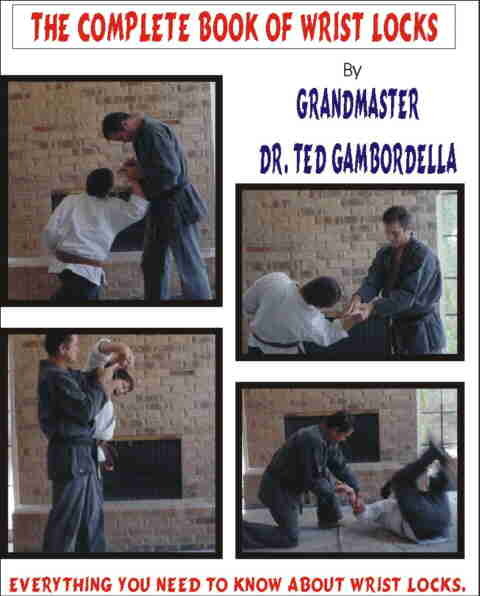 Grandmaster Gambordella has the full Copyrights and Resale Rights to these videos and manuals. This is a limited time offer and Grandmaster Gambordella reserves the right to withdraw this once and lifetime offer at any time. Your DVD's, Ebooks and Diploma will be mailed to you.